High Quality Content by WIKIPEDIA articles! 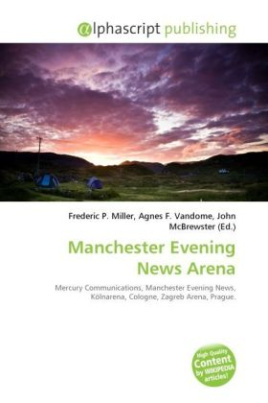 The Manchester Evening News Arena or M.E.N. Arena (commonly referred to as just The M.E.N. or simply Manchester Arena) is a large indoor arena in Manchester, England. It is currently sponsored by the Manchester Evening News and has a capacity of 3,000 to a maximum capacity of 23,000 depending on the event being staged, making it one of the largest indoor arenas in Europe. It was opened in 1995, and was initially sponsored by NYNEX (a British cable television provider, as opposed to the NYNEX Corporation, a telephone service provider in the United States) as the NYNEX Arena. The Arena took its current name in 1998 after the NYNEX brand name had disappeared as a result of a merger with Mercury Communications in 1997.